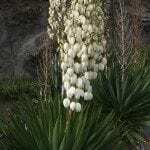 I have several yucca plants outside growing next to my driveway. The leaves rub against the side of my car when I back out of my drive. I want to relocate them. Is this feasible, and if so, how do I ensure that the plants will survive being moved? After transplanting, make sure you provide enough water. While they are normally drought tolerant, they need some extra water when transplanted.